Hitchcock Field, where companies of soldiers were then drilling, to the southwest the impressive mass of our physical education buildings. 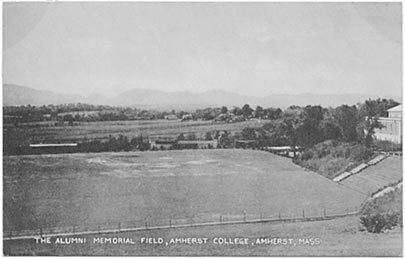 War Memorial right at our feet: a Memorial Field, beautifully framed and commanding the finest prospect the College had" (King, 273). 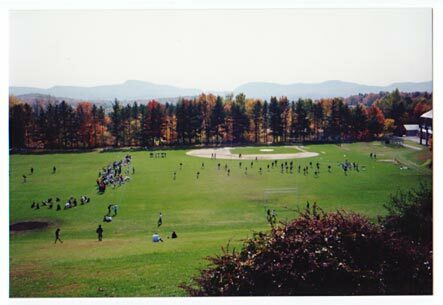 (Photo taken Fall of 1991).